February 23, 2015 – Zayo Group Holdings, Inc. ("Zayo"), (NYSE:ZAYO) an international provider of Bandwidth Infrastructure services, today announced that it has closed its $675 million acquisition of the operating units of Latisys Holdings, LLC ("Latisys"), a colocation and infrastructure as a service ("Iaas") provider. The transaction was funded by the net proceeds of Zayo Group, LLC's previously announced $700 million offering of 6.00% senior unsecured notes due 2023. The acquisition of Latisys adds eight new facilities to Zayo's datacenter strategic product group, zColo, and increases Zayo's billable datacenter space to 503,000 square feet. The additional facilities bring Zayo's total datacenter count to 45 facilities across the U.S. and Europe, and increases zColo's billable square footage by approximately 60%. The acquisition provides zColo with a presence in four new markets including Ashburn, Denver, Orange County, and London, and further enhances its Chicago datacenter footprint. Zayo will immediately make the Latisys datacenter and IaaS portfolio available to its entire customer base. 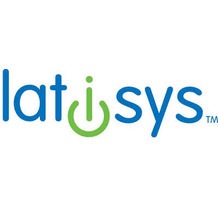 Similarly, Latisys customers will have immediate access to Zayo's expansive fiber, transport and IP network assets to support a broad range of connectivity options for colocation and cloud deployments. New and existing Zayo customers will be able to order and manage both colocation and IaaS solutions through Tranzact, Zayo's innovative bandwidth shopping platform.